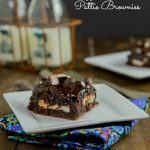 S’mores Brownies – Rich, fudgy homemade brownies on a graham cracker crust topped with toasted marshmallows and bits of chocolate! If you have met me or been here before, you know my favorite dessert are homemade brownies. 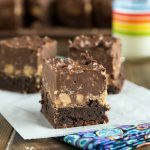 Just basic fudgy brownies are my ultimate weakness. There are a ton of brownie recipes on the blog already. 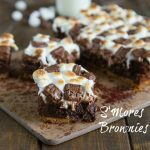 You can definitely make these s’mores brownies using a brownie mix if you want, but there is just something about brownies from scratch that make them special. Homemade brownies are just a handful of ingredients to make, so almost as easy as the box mix. 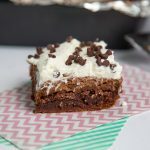 These S’mores Cookie Bars are always a huge hit, so I decided to take the same idea, and make them with brownies. 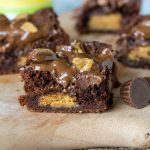 Rich, fudgy brownies on top of a graham cracker crust, that are then topped with toasted marshmallows, and more chocolate. It is seriously like heaven in every bite. S’mores desserts always seem to win people over. 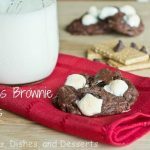 S’mores Chocolate Cake Mix Cookies are definitely chocolate-y and cure all those chocolate cravings. Chocolate, graham crackers, and marshmallows together just make for a tasty treat. Butter vs vegetable oil – really either works, it depends on the recipe. I usually use oil, but have a couple recipes with butter. Butter can be a little more greasy if you use too much. And it gives it a slightly different flavor. But both work and taste great. Cocoa powder vs melted chocolate – again both work. You can even look at the back of your cocoa powder container to see what the substitution is. So if you don’t have one, you can definitely substitute the other. Use a spatula – you do not need an electric mixer for brownies, just a bowl and a spatula. 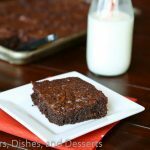 Pans – I like a metal baking pan for baking brownies. Glass works, but I think the texture is different. I don’t get the same edges when I used glass. Often times s’mores are reserved for the summer, because you need it to be nice out to have a fire. But these brownies make it so you can have them any time of the year. 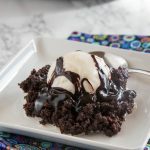 Bring them to your Memorial Day get together, or make for Valentine’s Day, or make them just because you want a gooey and chocolate-y dessert! If you have a chocolate lover in your life, you need to make these s’mores brownies for them. They will forever be in your debt. I mean just look at that gooey, fudgy brownie! 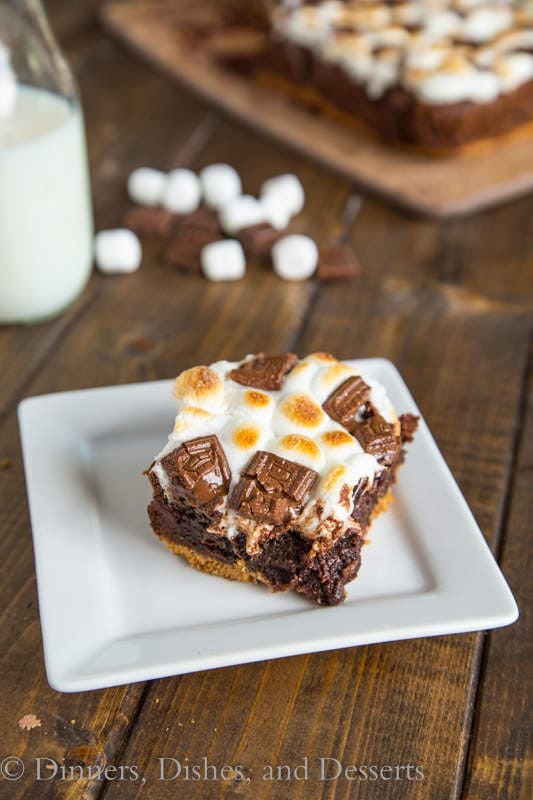 Rich, fudgy brownies on a graham cracker crust topped with toasted marshmallows and bits of chocolate! Mix together graham cracker crumbs, sugar, and melted butter. Press into the bottom of the baking pan. Bake for 8 minutes. Meanwhile, prepare the brownie batter. Mix together melted butter and cocoa powder. Add sugar and eggs, and mix until well combined. Mix in flour and salt until everything is well blended. Pour over baked graham cracker crust. Return to the oven and bake fro 30-35 minutes, until brownies are almost fully cooked. Remove from oven and turn on the broiler. Top the brownies with marshmallows and broken pieces of candy. Return to the oven, and heat until marshmallows are golden brown (2-3 minutes). Watch carefully. Remove from oven, and allow to cool completely before slicing. Totally crushing on these! Yum! This sounds like the best brownie ever. EVER. Also, why don’t I always add a layer of graham cracker crust beneath my brownies? That sounds awesome! Beautiful photos Erin! 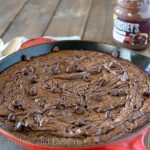 I wish I could have at least a slice..
My chocolate cravings have definitely kicked in after seeing these delicious images! Pinned! 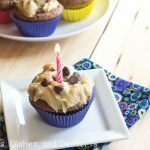 Mmm…These look fabulous and simple! Gotta try them. Pinned. 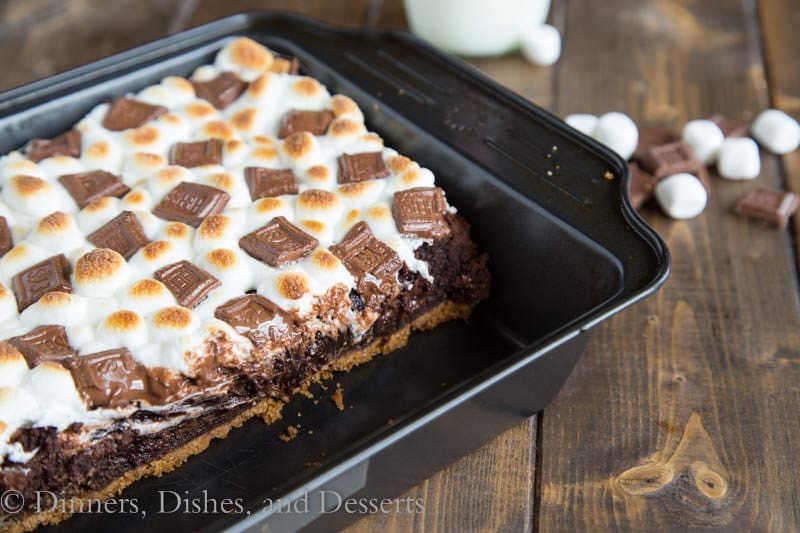 I’m crazy addicted to s’mores… these are a must bake! Pinned! 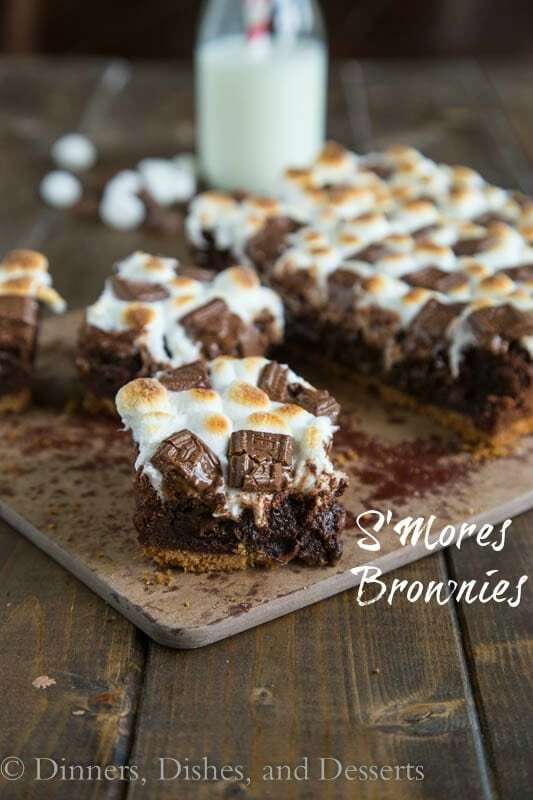 Smores — as BROWNIES? OMG yes. Oh so weather in Colorado is just like NY then? Gross one day beautiful the next? These brownies are perfect? I love that the center looks ooey and gooey. I have a serious s’mores addiction and these look absolutely perfect! Our temps have finally cooled off but that wouldn’t stop anyone in my house from devouring that whole pan in one sitting, the chocolate fiends that they are. We’re cooling down but that wouldn’t stop the family from eating the whole pan in one sitting, chocolate fiends that they are. Yum, they’re like cheese-cake brownies! I think I’ll make them while I still have the excuse of the Christmas period to over-indulge! I just made these and while they are okay, I have to say, I am overall disappointed . The recipe for the graham cracker bottom came nowhere close to covering the bottom of an 8×8 pan, and it burned given the 8 minutes and cooking time for the brownies. 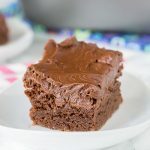 I used a box brownie mix instead of making the brownies in this recipe, so I can’t speak for that but something about the flavor of the finished product just isn’t good. Good idea though, and I will probably try again from scratch. These look dangerously yummy! I’m drooling! We are a bunch of chocolate lovers so I know this is going to become a family favorite! This will have us dreaming of summertime! WOW these look DELICIOUS!! Such a great combo! I can’t get over how excited I am about the combo of that crust with the brownies!! What a perfect treat! These are so so good! These need to be made in my home ASAP! 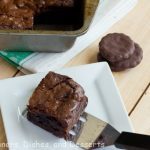 Swooning over these brownies! They look so fudgy and gooey! Yum! 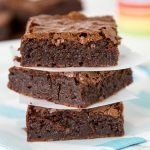 These are my kids’ favorite brownies — mine too!